Happy Fri-yay!!! Another week down, another weekly rundown. LISTENED: My family has incredible taste in music, my parents' taste in music definitely influenced my sisters and I. One of my favorite family memories is just relaxing in the backyard, listening to music and just talking. Everything is so mellow and most of the time the music we jam to finds it's way to my head and stays up there for a good while. Well this week's song that is stuck in the head is 'She's so High' by Tal Bachman *que the cheesy 90s romcom*. Y'all go listen to it and try to get it out of your head! SAW: 'Moana' was finally added to Netflix earlier this week and I could not be any more excited than I was. I had even counted down the days!! As unbelievable as this may sound, it was my first time watching the film and y'all I LOVED every second of it! For those of you who've never seen it/heard of it here's a quick trailer! POSTED: Over last weekend it was one of my favorite cafe/bakery's one year anniversary at a new location and to celebrate they offered $1 birthday macarons, free mini fufetti cupcakes and $2 lattes. I went a little sugar crazy and left with a few macarons, a latte and of course a cupcake. Here's a picture from my insta! This week I also posted two new blog posts. The first was about my slight obsession with frilly sleeves (I also shared a few that I'm loving) and the second was dedicated to National Wear Your Lilly Day! LOVED: On the topic of Lilly Pulitzer, the new agendas came out last week and I cannot believe that I didn't share the news with y'all! I've been a planner girl for about 6 years now and out of those 3 I've used Lilly planners. The new prints are absolutely beautiful and I'm hoping to get my hands on this one! 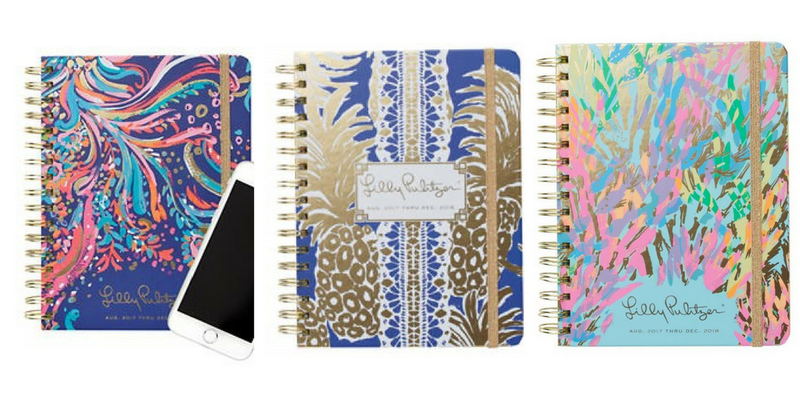 Do you use a Lilly planner? OMG the fact that Moana is on Netflix is making my weekend! Is it sad to say I've already watched it twice ��! Hey Aubrey, this past weekend I saw Moana so many times already!I seriously cannot get over how cute the movie is! Also, Thanks for checking out the blog. It means a bunch!